One of the most common and painful conditions of the shoulder is frozen shoulder (adhesive capsulitis or periarthritis.) It can follow trauma to the shoulder, such as dislocation or fracture, or a degenerative process. At times it can occur after an emotional trauma or convalescence from a long illness. Usually, people come to us when the arm becomes stiff and useless because of the pain. The pain, often worst at night especially as you roll onto the affected arm, and can cause further stress due to lack of sleep. This condition is usually associated with muscular spasm, and often the cervical and dorsal spine are also involved. Female patients often complain that they cannot hook their bra, and men say that they cannot reach their wallet in their back pocket! 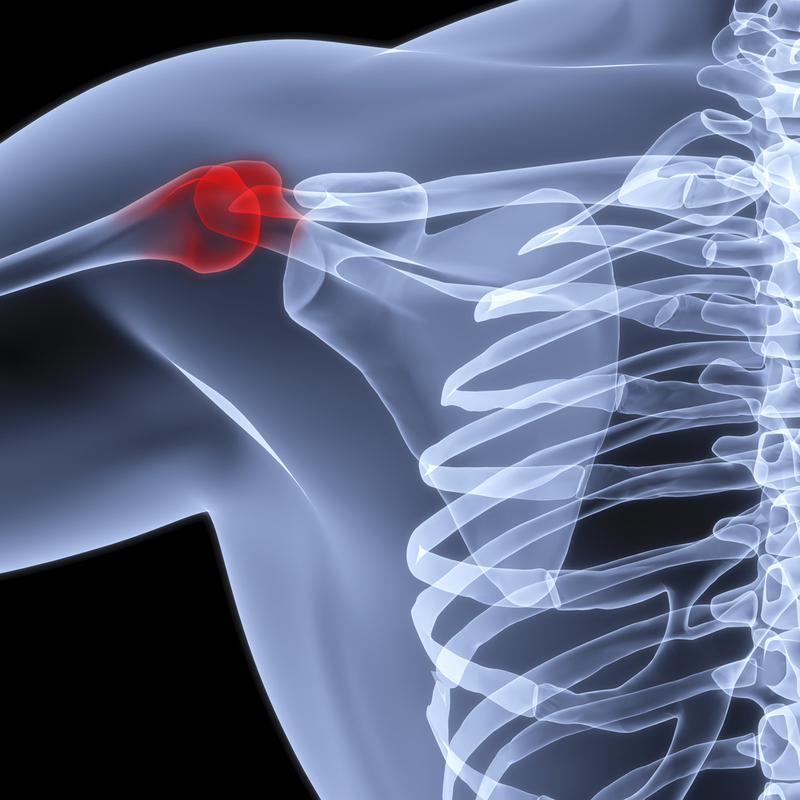 Frozen shoulder usually strikes after 40 years of age, but can occur earlier, and in nearly half of the cases, after some months or years the other shoulder begins to suffer the same problem. With the passing of time, if not treated, it can lead to extreme rigidity of the arm and to an immobile shoulder. Fibrous adhesions, which prevent movement, are present around to the head of the joint in chronic cases. Prevention is always the best approach in order to avoid progression of this condition. Immediately after minor trauma, the application of ice on the soft tissues of the shoulder is advised. When the acute phase of inflammation is resolved, our chiropractic manipulative and soft tissue repair techniques, together with active mobilisation of the joint with some specific exercises, will further prevent the formation of fibrous adhesions. The use of warming gels must be limited to period just before exercising. Ask our advice and we will be happy to help you recover and return to normal life in the shortest possible time. We as Chiropractors get you excellent results with this condition because we treat not only the shoulder joint where you feel the pain, but also the vertebral column, since it plays a part of the clinical picture of this problem. Once we have attained the full range of normal movement of your shoulder, you can start reinforcing your shoulder by specific home exercises. Daily shoulder exercises and good posture are essential in order to avoid any relapse. After initially having resolved your frozen shoulder, you may notice some limitation of movement. The type of chiropractic care in our clinic is able to minimise these residual limitations as mush as possible. Early treatment remains the best option, but even with chronic frozen shoulder, our chiropractic treatment results in most effective pain reduction and in better shoulder mobility. Consult us with your problem and we are happy to find you the best and fastest way to a full recovery. As chiropractors we will be able to distinguish between these problems; and remember, many of the other common musculo-skeletal conditions can also be treated with chiropractic. 1 Anderson, W.A.D. Pathology, 3rd ed. Mosby. 2 R. Cailliet. Shoulder Pain. F.A. Davis. 3 Davis, R.V. Therapeutic Modalities for the Clinical Health Sciences, 1st ed., 1983. Copyright — Library of Congress TXU-389-661. 4 Griffin, J.E. ; Karselis, T.C. Physical Agents for Physical Therapists, 2nd ed. Springfield: Charles C. Thomas 1982. 5 Krusen; Kottke; Ellwood. Handbook of Physical Medicine & Rehabilitation, 2nd ed. Philadelphia: W.B. Saunders Company 1971. 7 Schriber, W.A. A Manual of Electrotherapy, 4th ed. Philadelphia: Lea & Feibiger 1975.